For the first time since UFC 92 there were two new champions crowned on the same card. 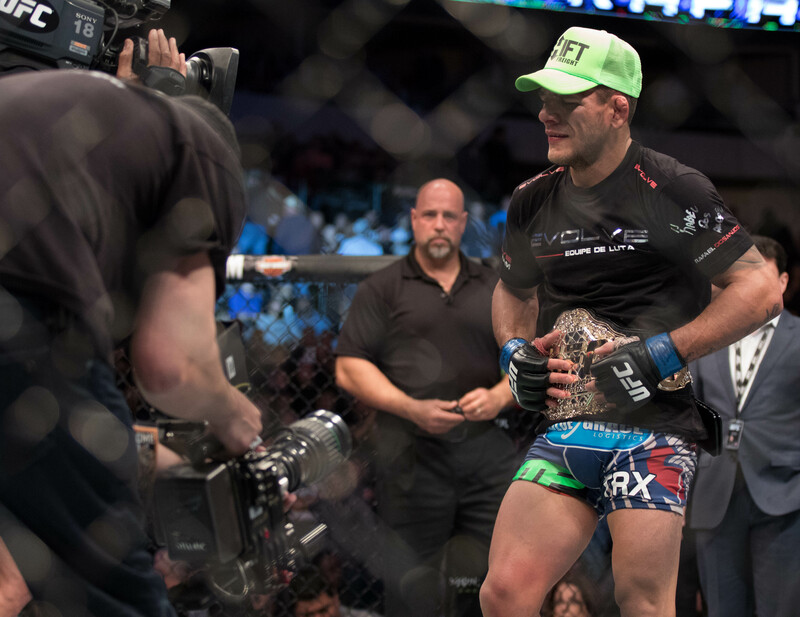 In the main event of UFC 185, Rafael dos Anjos (24-7) stunned just about everyone in attendance at the American Airlines Center in Dallas by be beating former UFC lightweight champion Anthony “Showtime” Pettis to become the first Brazilian lightweight champion. Dos Anjos to everyone’s surprise beat down Pettis from the opening bell to the final bell by holding his own on the feet and by outclassing, out striking and beating Pettis up in every other area of the fight. After the final bell, all three judges scored the bout 50-45 for Dos Anjos to give him his 13th win in UFC which moves him into a tie for third all-time in the UFC lightweight division. Pettis (18-3), considered one of the most dynamic offensive fighters in the sport, was forced to fight with his back to the fence for nearly the entire 25. A hard left hand by Dos Anjos with Pettis back against the cage early in the first round seemed to give the former champ problems the rest of the night. The straight left was dos Anjos’ most effective punch, but he didn’t rely solely on it because he took Pettis down nine times on 10 takedown attempts. Through five rounds, dos Anjos landed 144 strikes, 62 percent of 233 total punches thrown. Pettis landed 96 After the fight, Dos Anjos revealed he suffered a knee injury prior to the championship tilt. The UFC had previously announced the winner of a May 23 fight between Donald Cerrone (27-6) and Khabib Nurmagomedov (22-0) would challenge for the title next. In the co-main event, the UFC’s newest weight division has now crowned its two champion in less than a year’s time. Polish strawweight Joanna Jedrzejczyk dominated Carla Esparza to become the new UFC women’s strawweight champion. Jedrzejczyk (9-0) basically had a perfect performance due to her pinpoint striking and ability to stuff a nonstop barrage of takedown attempts from Esparza (10-3). The new champion defended 16 of 17 takedowns against a very talented wrestler while showing the just how good of a Muay Thai practitioner by out landing Esparza in total strikes by a wide margin of 55-6. The end came mercifully, when Jedrzejczyk opened up with a flurry on Esparza, who didn’t fall down but was clearly out on her feet to end the fight at 4:17 of the second round. “I’m not a striker anymore, I’m a complete mixed martial artist,” Jedrzejczyk said. “I still cannot believe that I’m the first European-based champion. A former strawweight champion at Invicta FC, Esparza suffered the first knockout loss of her career. She won the inaugural UFC title by submitting Rose Namajunas in The Ultimate Fighter 20 Finale in December. 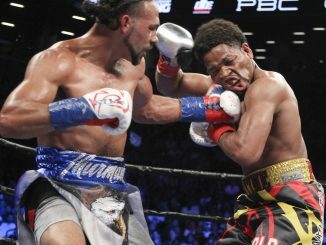 Despite the disappointment, Esparza was still a true champion and didn’t make any excuses. Jedrzejczyk made history by becoming the first Polish fighter to win a UFC title while putting all women on notice in the strawweight division.